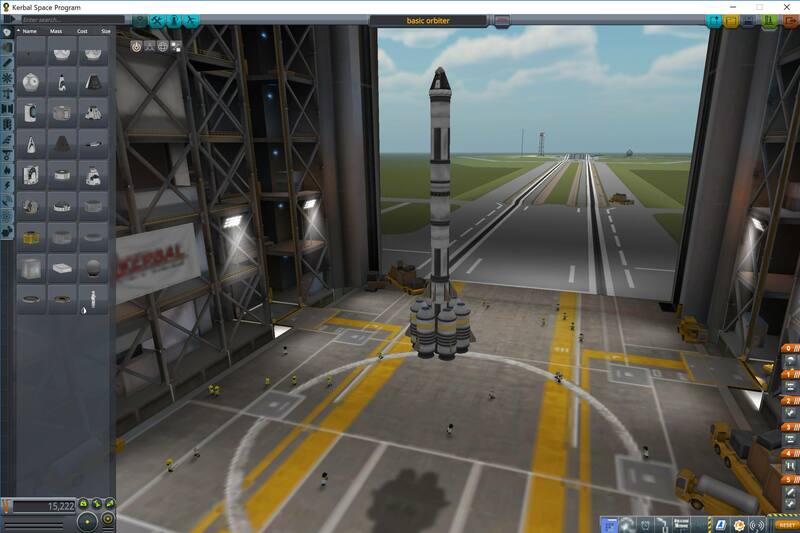 a basic rocket capable of getting jebediah to orbit and back. Go straight up, turn A BIT when boosters are out of fuel, then turn sideways and BURN WHEN YOU ARE OUTSIDE OF THE ATMOSPHERE. SAVE A THIRD OF FUEL TO SLOW DOWN AND COME BACK. A stock rocket called basic orbiter. Built with 43 of the finest parts, its root part is mk1pod.